It is makeover time at Raymond. The Raymond Shop (TRS) outlets are being renovated across the country to offer bespoke services, upgraded technology and a more contemporary ambience to customers. The brand is launching exclusive fabrics and vibrant collections to connect with the younger audience. Manisha Almadi Midha catches up with MOHIT DHANJAL, Director-Retail, Raymond to know more about the brand’s facelift plans. 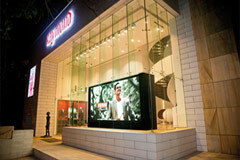 Gautam Singhania’s fabric and apparel giant, Raymond, is on a transformation journey. According to Mohit Dhanjal, director-Retail, Raymond the brand conducts research every year to evaluate its performance vis-à-vis other brands in the market and to understand consumer behaviour, sentiments and preferences. “Prior to the renovation, one of the clear insights was that Raymond was perceived as an older brand where a father usually takes his son to shop, for an occasion. 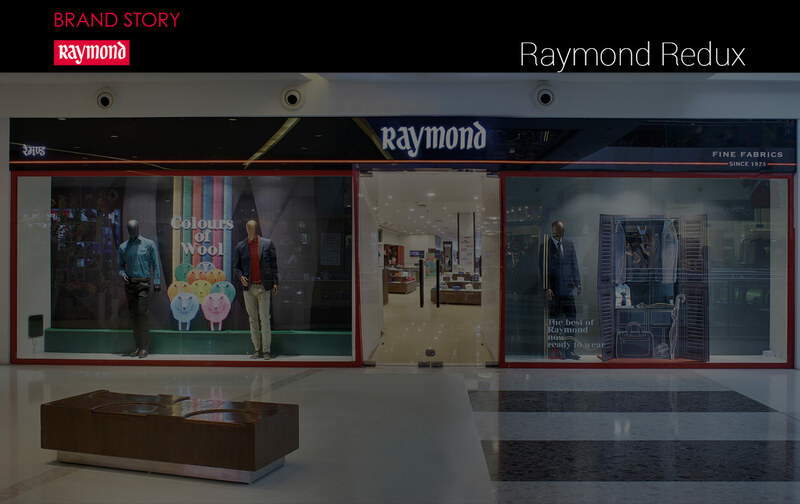 While we cannot suddenly change Raymond into a hip store, we have embarked on a journey to rejuvenate the brand and make it more relevant to a larger segment of consumers. The manner in which we communicate with the mass media and the way our stores look, is part of the journey,” says Dhanjal. The facelift started two or three years ago when they piloted the new design concept in a couple of their companyowned company-operated (COCO) TRS outlets. “After the success of the pilot stores, since last year we have renovated 40 stores (33 franchises and seven COCO) till date and plan to renovate an additional 50 stores of which 43 to 45 are franchises, this year,” says Dhanjal. Most of the Raymond stores – 659 out of 720 in 380 cities – are franchises, and have made their presence even in towns like Kannur in Kerala. “We plan to renovate 90-100 stores by the end of this financial year and aim to redesign all our stores in the next three or four years,” he adds. The new stores have been conceptualised by London-based firm JHP Design and their creative director, Raj Wilkinson. “We now use our inhouse team of architects and store designers to replicate the same across different sizes of stores. In today’s time, it is imperative to renovate. The only constant is change. However, there is no formula that a retailer can follow as the pace of change is very fast. Therefore, we have integrated the need for frequent change in our new design which gives us the flexibility to create a new look as and when required, be it with the launch of our spring/summer and autumn/winter collections, or when we introduce and change categories within the store,” says Dhanjal. Raymond has reportedly spent `250 crore last fiscal for the facelift. “For COCO stores, we invest in renovation. For the renovation of the franchise stores, the investment is done by the franchisee. However, it does not matter to consumers whether the stores are COCO or franchise because services and experience expected are the same,” points out Dhanjal. Raymond has apparently witnessed a 15 per cent increase in transactions and a 25 per cent top-line growth since the facelift.pleted 90 years. The firm believes the best is yet to come.